The very good looking miniature plants, succulents are low mainatainence, long lasting indoor plants and their high oxygen release at night will give you a sound sleep all through. 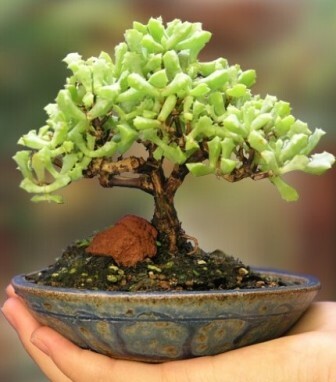 Succulents are generally small in size and are considered to be low maintenance plants, they come in varied colors making it soothing for any eyes. Succulents are a good keep in the bedroom as they happen to release high quantity of oxygen at night while absorbing carbon dioxide. One can notice a seasonal change in color with the growth of succulents. An extensive research has revealed that succulents can boost one’s focus and productivity when placed indoors. The most pleasing feature of succulents is the variety of color that this family has to suit any kind of requirements. Growing succulents doesn’t have to be difficult. In fact, they are extremely easy to care for, come in just about every color from the rainbow and look adorable all year round.